With just 61 days until Christmas, it is all systems go here at Kate Box Knit HQ! November is a particularly busy month as I will be popping up at some brilliant Hampshire events. So, if you’re local, please do come along and say hello! With the colder weather now here to stay, it’s the perfect time to wrap up and keep warm in style with a new season Kate Box Knitwear design. November events - come say hello! When: 9-4pm, Tuesday 7th & Wednesday 8th November. Details: The Watoto Trust is a charity that believes by relieving poverty and educating children the world can become a better place. They provide sponsorship for individual, bright, impoverished Kenyans as well as increasing awareness of the problems facing Kenya including pressure on natural resources and loss of habitat. Details: Come and celebrate at the 2017 Season Launch, there will be tasty, hot, street food, gift shopping, live music and The Apres Tree Bar stocked with gin, rum and mulled wine! 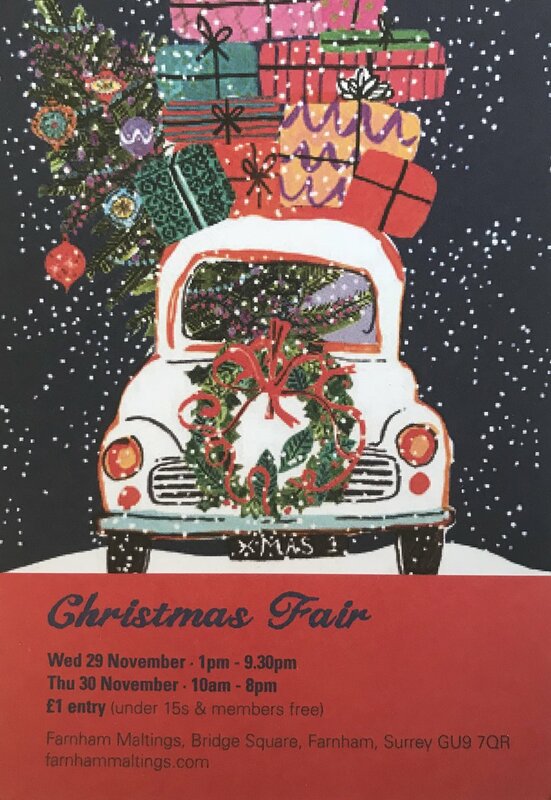 Details: A fantastic local event, featuring a bustling marketplace with over 150 stands specialising in handmade gifts, unique stocking fillers, crafts, vintage, food and drink. Can’t make it to an event? All Kate Box Knit designs are available online – SHOP THE RANGE. Buying for a friend or relative and not sure what they’d like? We also offer Kate Box Knitwear gift vouchers, please email kate@kate-box.co.uk – the perfect gift for a winter birthday or Christmas.